From those iconic, multi-hued conversation hearts to tender love notes scribbled on a box of chocolates, it’s already time to spread the love for Valentine’s Day! However, with the Earth’s last glaciers thawing at an alarming rate and a new ocean cleanup system breaking down only months after its much-anticipated launch, it’s becoming more clear than ever that it’s up to every one of us to do our part for our planet—especially on February 14! Whether you’re a hopeless romantic or roll your eyes at the thought of a ‘Hallmark’ holiday, there are more than enough ways you can give love back to Earth. Gal-entine’s Day, Valentine’s Day, or just February 14—here are a few ways to love Mother Nature this year! And if you want a few more tips and suggestions, check out Blue Uprising’s latest blog post. They’ve share a few other cute gift ideas that are ocean-friendly, humane, ethical and fabulous! Roses have become the official flower of love! From the gas station to the grocery store, attached to a teddy bear or standing solo, these floral delights are everywhere leading up to Valentine’s Day. But as it turns out, unless you’re hand-picking flowers from your personal garden, these roses aren’t quite so sweet! Land degradation, water usage, chemical pollution, and fossil fuel emissions are just a few ways the floriculture industry has a devastating impact on our environment. 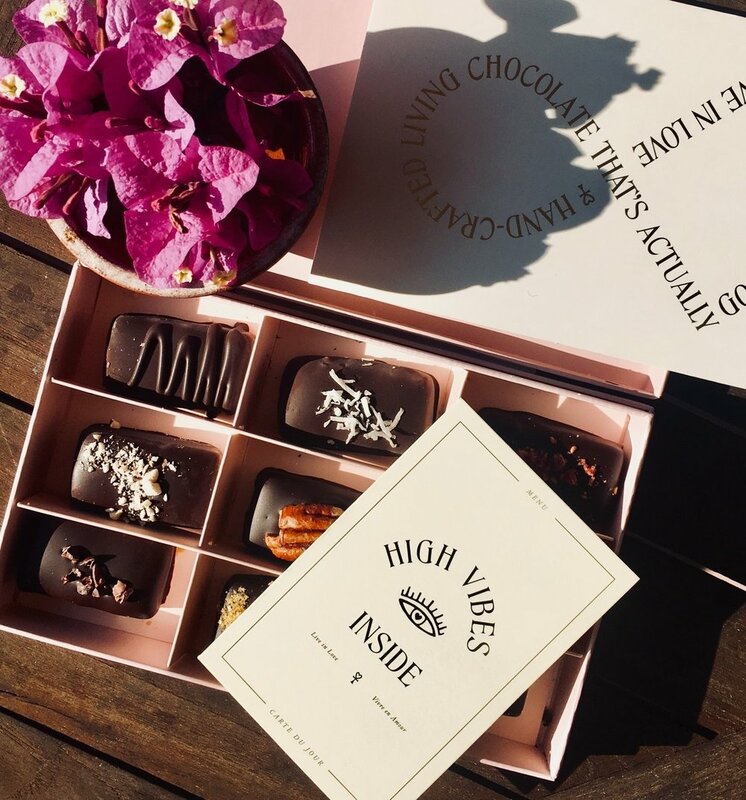 Instead of forking out money for a bouquet of flowers, opt for sustainable, fair-trade chocolates. It’s a gift they can eat, and it’s twice as sweet! Nothing says ‘I love you’ like a full belly! And although you might want to take your honey out for a night on the town, try to avoid your local seafood joint. With the popularity of all-you-can-eat sushi and no-holds-barred seafood buffets, overfishing has become a frightening norm in our society. Today, less than two percent of our world’s oceans are set aside as marine reserves. Since 1950, one in three fish populations has collapsed, destroying global ecosystems and creating scarce food supply for millions of people around the globe. This year, give a vegetarian dinner a try! Plant-based eating is spreading like crazy, meaning that the days of boring salads and veggies are done. Some of the world’s leading chefs offer vegetarian or vegan menus, making it easier than ever to dig into food that’s so tasty, you’ll hardly remember that it’s plant-based. Here are some of my favorite plant-based restaurants and dishes! 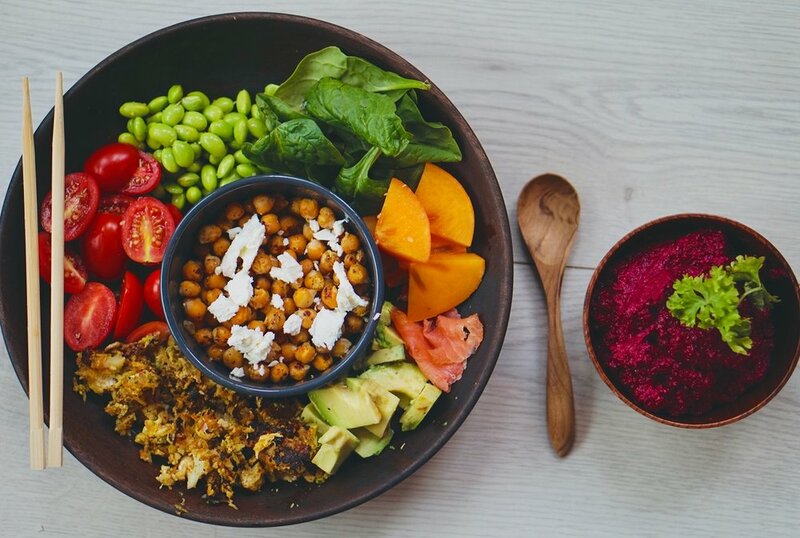 Plus, check out this great list from MindBodyGreen of all the best plant-based restaurants in New York. Our planet is getting warmer, and that includes our oceans, too! The sea continues to absorb the excess heat created by fossil fuels, and while warmer oceans might sound ideal for your next vacation to the Bahamas, it’s detrimental to the sea creatures that dwell there and to humans who live in vulnerable communities. Instead of driving to your Valentine’s Day festivities, enjoy a night out with your loved ones and reduce your carbon emissions while doing it. Whether you decide to take a walk, head out on a sunset bike cruise, or even share an Uber, one small choice can make a huge difference for our planet. Cards, novelty gifts, and flowers, they’re here today and tossed out tomorrow. So, how do you give someone a gift that they can cherish for a lifetime? How about something with roots that grip our Earth! Planting a tree is the ecological and sustainable way to exclaim ‘I love you!’ to that special someone and Mother Earth. Trees give shelter to wildlife, they cool our cities, provide natural air conditioning, and purify our air...all while battling harmful CO2 emissions! Do you have a large backyard? Planting a tree will be a constant reminder of this year’s Valentine’s Day celebration. If you live in an apartment complex or a landlocked area, that’s no problem at all! Conservation organizations all over are aiding eco-savvy individuals just like you. Donate to plant a tree for someone you love or get a little dirt under your fingernails and help plant a tree yourself! Spread the love far and wide—from the oceans to the forests and back around again, we all have a duty to make Mother Nature our Valentine, this year and every year to come!